You are here: Home / Customer Focus / From Selling 2G Phones to Becoming a 6x Salesforce Certified Consultant. Why Did I Wait So Long?! 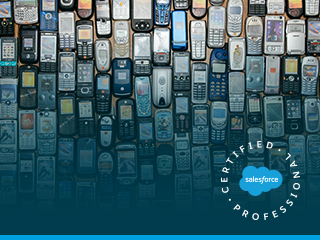 From Selling 2G Phones to Becoming a 6x Salesforce Certified Consultant. Why Did I Wait So Long?! For our second blog series of Incredible Salesforce Certification stories, we hear from Diana. After starting in telecoms, she moved to the CRM world before landing in a consultancy role. Now 6x certified, she shares her Salesforce story with us. If someone would have told me 10 years ago that my career would take a deep foray into the technology field with a great product like Salesforce, I would have told them they were out of their mind. I actually began my career working for a cellular phone company (I remember thinking my parents were so cool for purchasing a car phone, even though it was the size of a brick!) I was along for the ride when the market changed from 2G to 3G, and then on to the release of smartphones. But I knew my heart wasn’t in retail and that I had to find a job that would push me to my limits and help me grow both professionally and personally. I found the job that would do just that after taking an entry-level position at a company that built content management systems for K-12 school districts. It was here that I took a deep dive into technology, and had the opportunity to broaden my technical skills and deepen my knowledge of Salesforce. I was involved in the migration from a legacy system to Salesforce, with both being used in tandem for a while (I still recall those daily syncing issues!). Finally, Salesforce was rolled out across the board. This was an exciting time for me, as I was representing both the support and professional services teams on the project. I worked closely with them both to make sure they had the tools that they needed to be successful before becoming an administrator of both Service Cloud and FinancialForce PSA. During this time, I had heard about the Salesforce certification program; however, I was concerned about my ability to pass the exam and worried that I would just be “wasting” the exam fee. Although I was encouraged by other administrators, my uncertainty caused me to continue putting it off. But then in July 2016, I had the opportunity to help others with their Salesforce journey when I was offered a position as a Senior Business Consultant for another company. 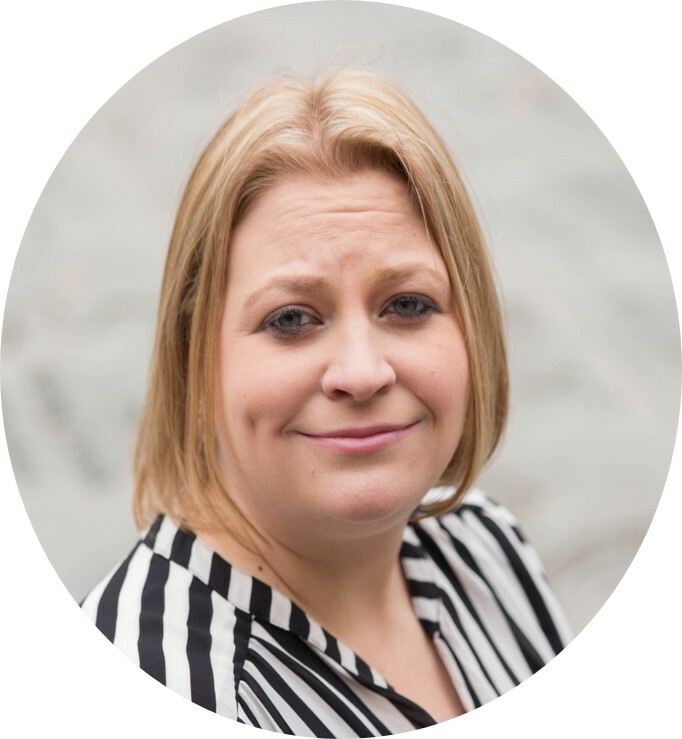 It was the perfect role for me, as I had already walked in the clients’ shoes and had an understanding of the difficulties that they would face moving from one system to another. Change is tough, but knowing that you have someone in your corner that has been right where you are has been of great benefit to me in my role as a consultant. After receiving encouragement from my management staff, I finally began my Salesforce certification journey. I took the Administrator exam and passed it on my first try. It was then that I gained confidence and became hooked on Salesforce certifications. After passing the Administrator exam, I set a goal to take the Advanced Administrator exam. I studied the materials in the study guide and watched the online training sessions to prepare me for the exam. I passed the Advanced Administrator exam 12 days later. By now, I was developing a true certification addiction. I wanted to get more certifications, but knew that it would take time and dedication. The next exam I decided to tackle was Platform App Builder. I was uncertain if I had the knowledge to pass the exam, so I once again turned to the study guide, online training sessions, and Trailhead to help me prepare for the exam. On November 3, 2015, I passed! Within one month, I went from having zero certifications to being the proud holder of three. Next on my list was the Sales Cloud Consultant certification exam. I had many years of experience with Sales Cloud, but I didn’t jump right into the exam. I did a lot of extra study for this one, as I knew that there would be a Lightning component and this was not something I had a lot of experience with. I read all of the documentation I could get my hands on and did the Lightning Trailhead trials. After a month of preparing, I decided to take the exam and passed it. This year, I was put in charge of moving our support team off of another software and onto Salesforce Service Cloud. We also decided to implement Community Cloud so that our customers could submit and monitor their support cases. I knew this would give me the hands-on knowledge of both Service Cloud and Community Cloud, and that would help my next exam preparation. When I discovered that the new Community Cloud Consultant certification was launching on September 1, I decided to become one of the first to get it—and I did. Then I thought it was time to go for my Service Cloud certification—and what better place to try than at Dreamforce! I must admit, I wasn’t certain if I was prepared enough. Even though I continued to study the terminology, the implementation guide, and repeat the Trailhead trails, I nervously stood in the exam line the Monday before Dreamforce. I must say, there is no better feeling than seeing the word “Passed” on the computer screen. I am very proud that I was able to earn four of my certifications within 10 weeks. I take great satisfaction in what I have accomplished, and work diligently to ensure that I am taking my maintenance exams in a timely fashion. This is important, not only so that I can keep my certifications, but also to ensure that I can continue improving my Salesforce knowledge as the product evolves. One of my regrets is not starting my Salesforce certification journey sooner. Having my certifications has opened doors for me that I thought would never be possible. If you are thinking about becoming certified with Salesforce, don’t let being intimidated by the exam or the cost stand in your way. You will pay the exam fee up front, but believe me, it will come back to you tenfold. I am grateful for the opportunities that I have been given and am looking forward to my next adventure with my Salesforce community. I want to thank all my friends and family for their support during my journey, and am looking forward to new adventures and growth. Happily, I continue to expand my knowledge of the Salesforce platform. I now hold six certifications and am working toward becoming a Salesforce Developer. I know that wherever my life takes me, it will be somewhere within the Salesforce ecosystem. And I wouldn’t want it to be any other way. If you’ve been inspired by Diana’s story, learn more about how you, too, can become a Salesforce Certified Professional.